The offside law (Law 11) is the most argued-over law wherever in the world the game of football is played, even though it’s pretty simple. Here’s how it works. A player is caught offside if he’s nearer to the opponents’ goal than both the ball and the second-last opponent when his team-mate plays the ball. 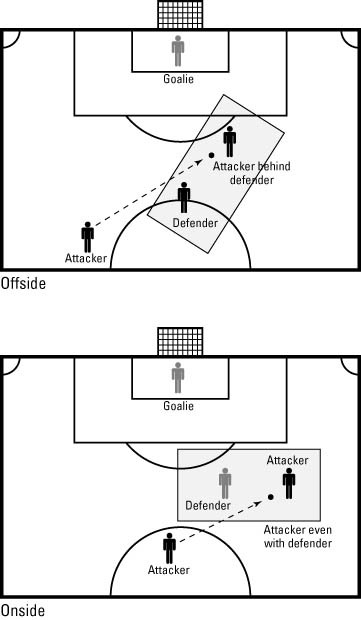 In other words, a player can’t receive the ball from a team-mate unless there are at least two players either level with him or between him and the goal. A player cannot be offside from a goal kick, throw in or corner.